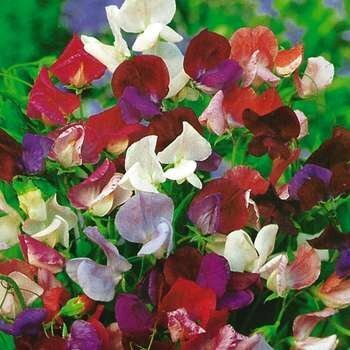 Sweet peas (Lathyrus odoratus) are very popular amount gardeners for their rich smells and range of reds, blues and purples. 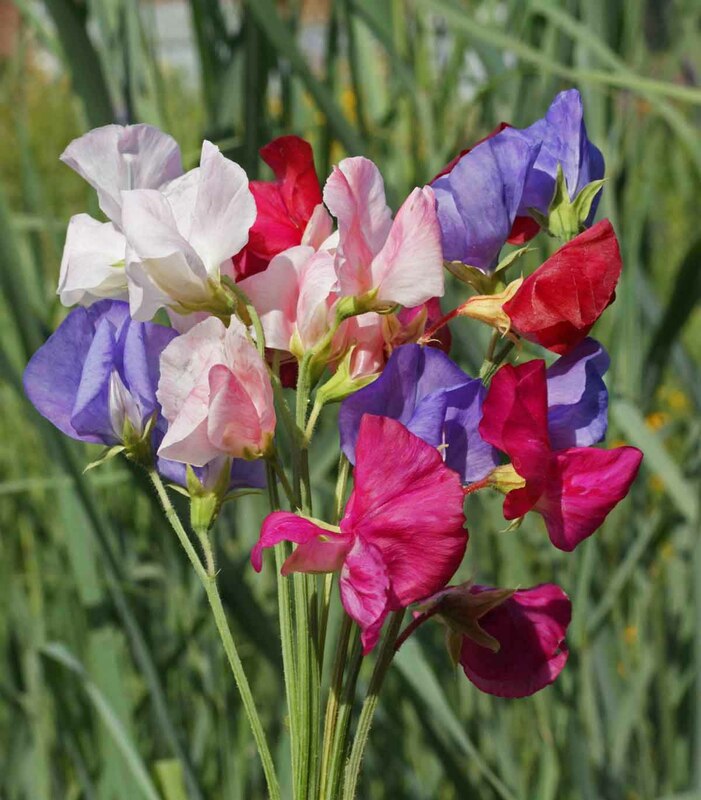 Are sweet pea flowers have been developed over the years to give growers bicolors, streaks and picotee patterns. Sweet Peas are great for borders and floral arrangements. 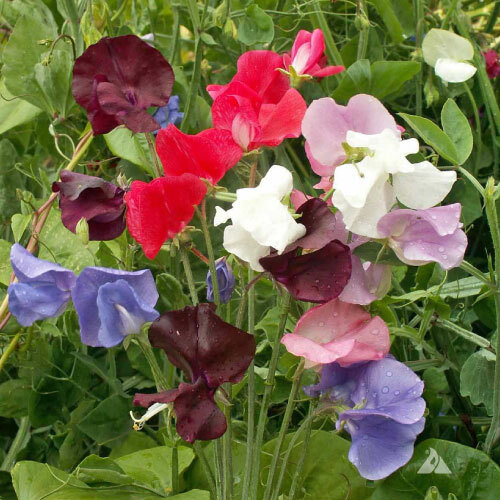 The Sweet Pea Bijou Mix is a wonderful blend of brightly colored purple, pink and white sweet peas that is perfect for window boxes, borders or flower beds. 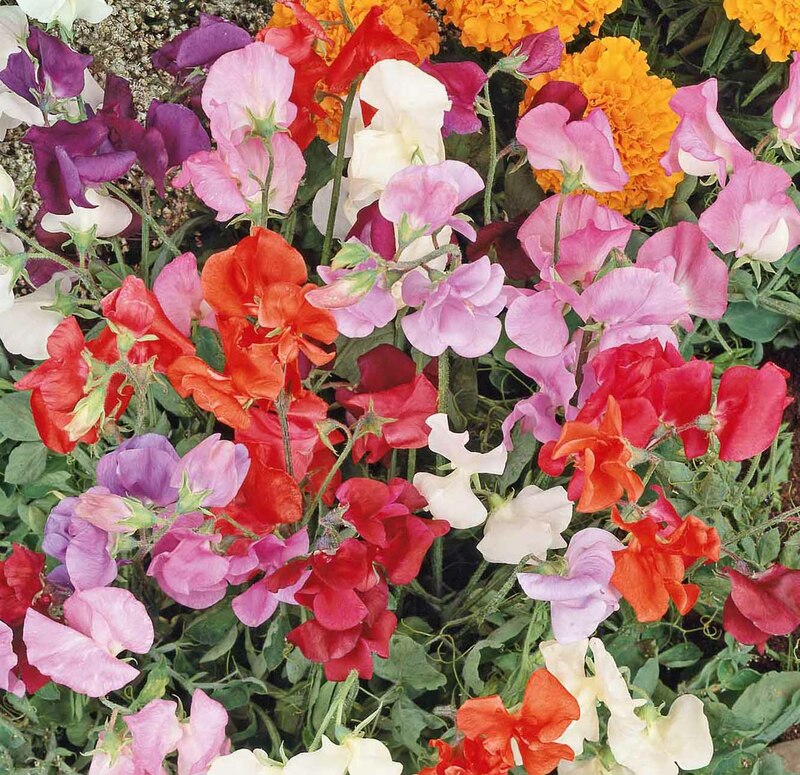 The Sweet Pea Heirloom Mix is a beautiful and colorful blend of heirloom sweet peas that is perfect for old-fashioned and fragrant gardens. 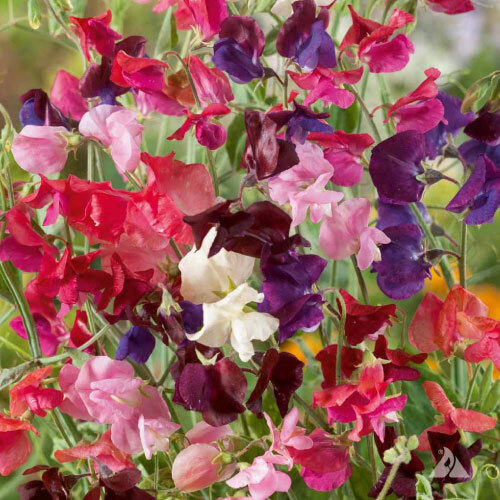 The High Knee Sweet Pea is a semi-dwarf, bushy-flowered variety with a mix of lavender, pink, purple, red, salmon & white flowers. 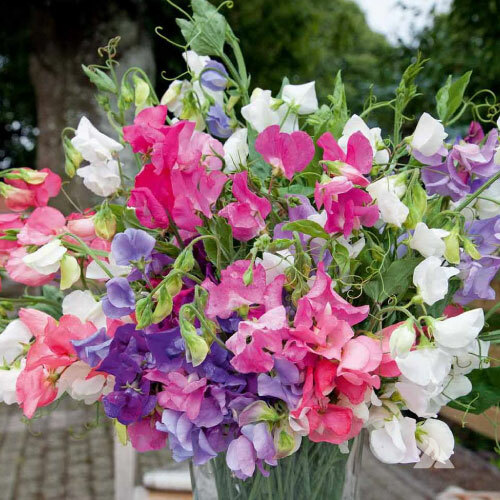 The Sweet Pea Mammoth Mix has long stems and very large flowers, which makes it ideal for the commercial cut flower grower. The Sweet Pea Royal Family Mix is a popular old standard variety that blooms its bright, colored flowers best in cool spring weather. 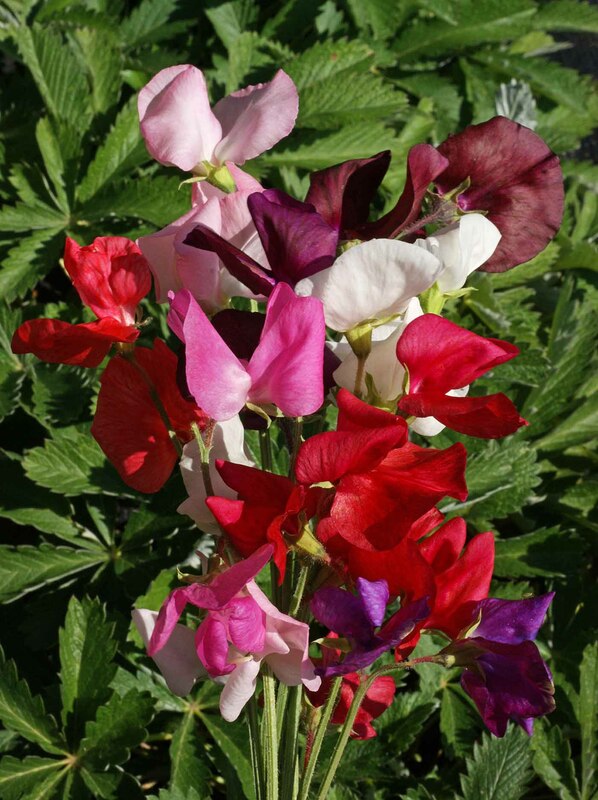 The Old Spice Sweet Pea is a beautiful old climbing variety that have heat resistant and highly scented flowers that smell even better than they look!